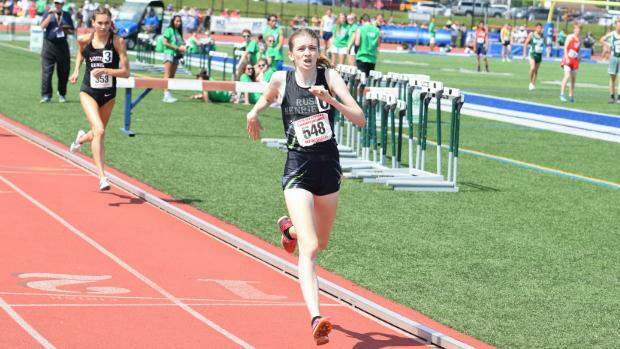 Hitting a State Standard in season allows an additional relay or individual to compete at the State Championships. Those marks, able to be hit at any point within the Spring Season, are the average 6th place finish of the past five years. Check out those magic marks below. 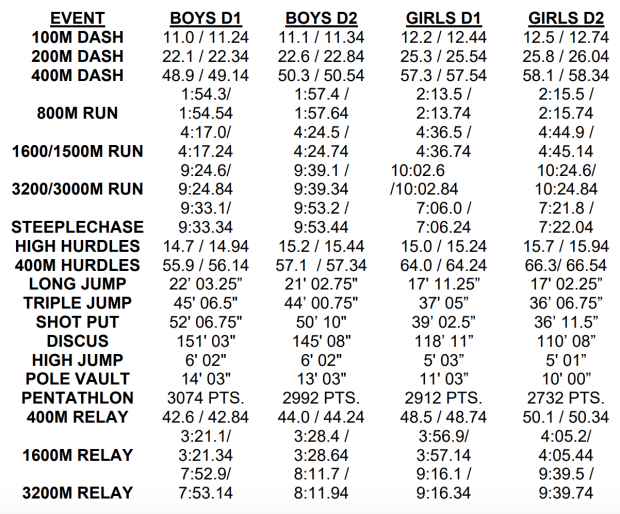 Plus, starting this year, there are super standards for the first time, meaning if you hit the marks below these, you're automatically entered into States, no matter what place you finish at the qualifier. Note: As was updated last year, marks can come from anytime during the Spring Season.